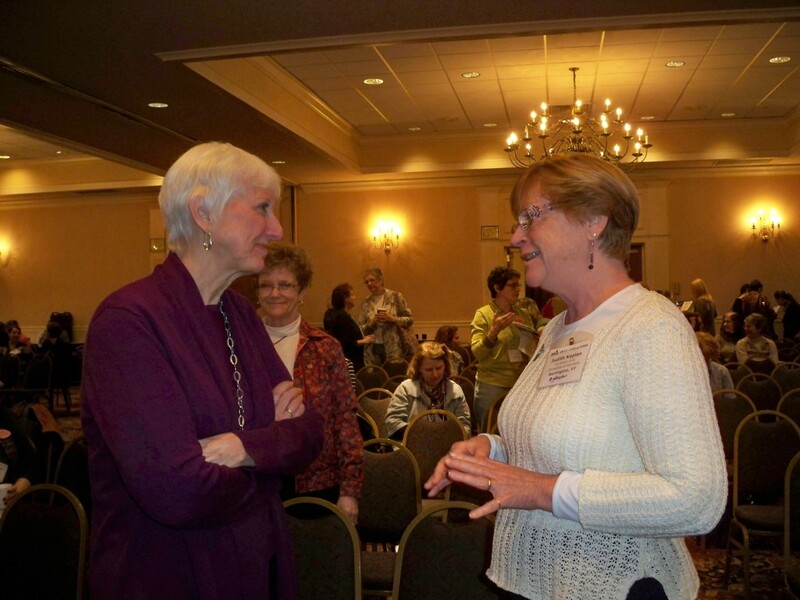 Barbara Stripling, President Elect of ALA, was the keynote speaker at a recent Massachusetts School Library Association Conference (March 2- 4, 2013). As a mentor, she encouraged those attending to “be the change,” to make a difference by changing one life at a time, and helping students raise their own dreams, skills, and dispositions of inquiry. Weaving the themes of collaborative relationships, decision making, and problem solving, she shared a vision of a vibrant model for student centered learning in 21st Century schools. Her passion and commitment to the field of librarianship and education is both inspirational and challenging. How can we live up to this ideal? I guess we just have to work harder at what we do best, so that we can be the change, too. Two colleagues and I traveled from Vermont to Sturbridge, Massachusetts to participate in a three day event that allowed us to rub shoulders with Barbara Stripling, Richard Byrne, Pam Berger, and a host of authors, including Jack Gantos. We were excited to meet and talk to our compatriots from another New England state to compare notes about school library issues. We were also meeting some of our Twitter f riends for the first time face to face. Sitting in a large conference room, it was amusing to overhear people saying, “So there you are! It’s so wonderful to meet you in person after getting to know you through your blog or Twitter.” Having a chance to sit down and chat with the presenters between sessions, or during lunch and dinner provided a personal experience that you don’t have every day. As in other sections of the country, in New England and the Northeast, there are opportunities within reasonable driving distances for collaboration and mentoring at regional/state school library conferences and meetings. 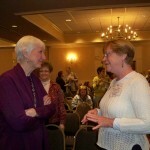 Many teacher librarians can’t afford to go to national conferences very often, or at all. Some have no financial support from their districts for professional development other that what is provided at the local level. State professional organizations play an important role in bringing national speakers and showcasing best practices within the field to a gathering of folks who come to share ideas, connections, and to make or renew friendships. PLNs now put practitioners in touch with others throughout the nation, and also provide connections within a geographical area, too. Social media and Twitter feeds allow everyone to communicate and collaborate across time and space. There are so many different ways to mentor and be mentored, in our fast paced world, but face to face collaboration is still a very powerful way to connect the dots. Having returned from the conference with many new ideas and new relationships, I am already putting plans into action that will affect my teaching and learning. Coincidentally, once again, the current issue of Knowledge Quest : Mentoring Through Partnerships continues to look at collaboration, and the role of professional organizations is seen as a venue for mentoring. Melissa Johnston shares her conclusions from some research about technology leadership in Knowledge Quest (2013, 38), “Not only do professional organizations provide support for school librarians through relationships with other school librarians, but this research finds that professional growth opportunities from professional organization activities such as conferences and publications serve as enablers as well.” From my own experience, I can’t agree more! And as a final note, when I was doing a school visit last week, I went into the school library, and there inscribed on the wall was a familiar message: Be the change you wish to see in the world. I felt as if I had come full circle. The newest Knowledge Quest hit the mailboxes of school librarians all over the country yesterday. As one of the co-editors for this month, I was so excited to focus on collaboration but in the sense of collaborative partnerships with other professionals. This issue of KQ takes a look at the various types of mentoring relationships, including: with other school librarians, with teachers, with students, and with public librarians.School librarians from all over the country share their experiences, research, and ideas on how we can learn from each other, whether you are a seasoned school librarian or just a newbie. Take a look at this issue – I think the broad scope will engage you and introduce some possible partnerships you may not have thought of that can indeed help you grow as a professional. As school librarians, we value collaboration in the work we do with teachers and other community members. We also recognize that our students will need the skills of teamwork and collaboration in their continuing education and employment. One of the Common Beliefs espoused in our Standards for the 21st Century Learner is that “Learning has a social context” and that “Students need to develop skills in sharing knowledge and learning with others, both in face-to-face situations and through technology” (AASL, 2007). In the online courses I teach, I have worked to include opportunities for students to collaborate with each other through partner and group projects. It’s not unusual for me to have a student ask to work alone and I respond that as the school librarian, you won’t work alone but will need to develop the skills, knowledge, and dispositions to work with others: to be a member of a team. This semester, I added an exercise at the beginning of a group project to encourage students to think about teamwork and their contribution and commitment to the group. The first reading was a very brief story about Steve Jobs (Elmer-Dewitt, 2011) taken from an older recorded interview. Jobs relays a story about a neighbor who showed him what happens when a bunch of ordinary, rough looking rocks were tossed in a rock tumbler. 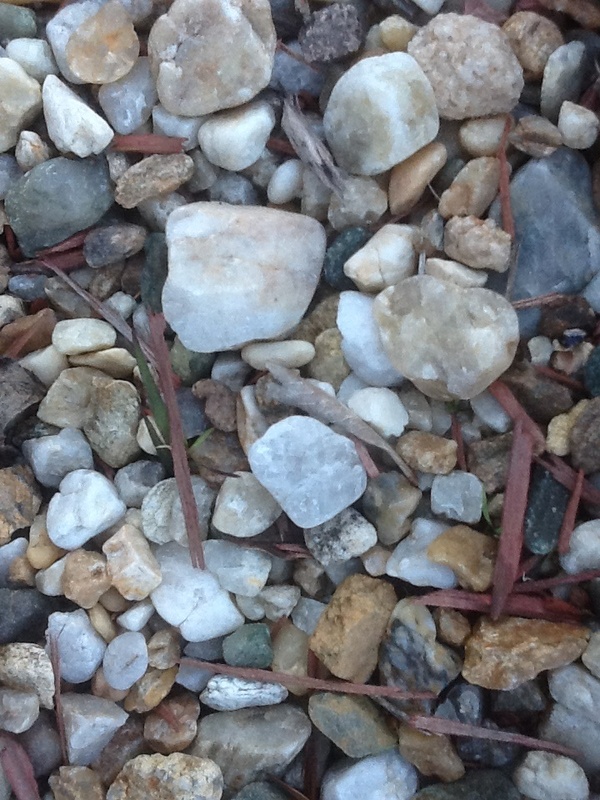 After some noise and time, and through the friction of those rocks rubbing together, they were transformed into something polished and beautiful. Jobs talks about how the work of a team resembles that rock tumbler as ideas are shaken up and transformed through the friction of group work. I think it’s important that it’s the ideas that are given such rough treatment, not the egos or feelings of group members. But of course, we know that it’s not magic. It’s hard work that shakes us up. But through practice and commitment and perhaps some noise and friction, we find the rough edges of our individual ideas become polished and take a shape we are unable to create by ourselves. American Association of School Librarians (2007). Standards for the 21st Century Learner. Chicago: American Library Association. Dr. Gail Kirby from Western Kentucky University created a “Co-Teaching Models” Prezi with embedded videos to demonstrate these strategies. Thank you to Dr. Barbara Fiehn for requesting permission from Dr. Kirby for me to share this presentation with my graduate students and here on our blog. Youth learn from modeling and by imitation; adults learn in these ways as well. For educators who have not had opportunities to practice coteaching, seeing others engaged in these practices is a first step. Friend, M. & Cook, L. (2010). Interactions: Collaboration skills for professionals. 6th ed. Boston: Pearson. Moreillon, J. (2007). Collaborative strategies for teaching reading comprehension: Maximizing your impact. Chicago: ALA Editions. Moreillon, J. (2012). 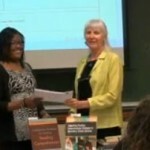 Coteaching reading comprehension strategies in secondary school libraries: Maximizing your impact. Chicago: ALA Editions. Coteaching: What Does It Look Like? Many schools are getting serious about collaboration and coteaching as strategies for implementing the Common Core State Standards. Communication and collaboration across grade levels and content areas are especially critical to students’ success in meeting the CCSS College and Career Readiness Standards, which are identical across grade-levels in the English Language Arts (ELA) standards. Coteaching, however, takes collaboration beyond curriculum articulation. Coteaching among educators offers many benefits for learners and for educators, too. When implementing new standards, educators who develop a shared vocabulary, procedures, and processes create greater opportunities for student success. Coteaching between a classroom teacher and a school librarian brings together the combined expertise of two professionals who bring different skill sets to the table. 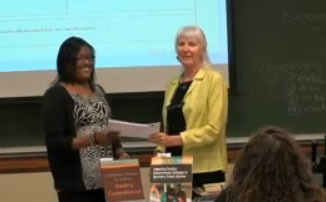 To that end, Texas Woman’s University doctoral student Ruth Nicole Hall and I provided a demonstration lesson for preservice classroom teachers and selected video snippets of various parts of the process. For both preservice classroom teachers and preservice librarians, we posted videos that showed us, in the roles of classroom teacher and school librarian, coplanning, comodeling, comonitoring, and coteaching this lesson. We hope these snippets will help our students see the benefits in action. Check out the videos on our undergraduate preservice classroom teacher Library Materials for Children course wiki! As I was searching for articles for my Administration of School Library Media Centers course I ran across an interesting perspective in a blog post by Andy Plemmons about how we could include students in this process. As like most of you probably do, I always welcomed student suggestions for purchases and kept a spreadsheet of these recommendations. Plemmons goes one step further to involve his students. Based on data collected from teachers and on his own observations, a lack of reading motivation was noted in students that were reading below grade level in grades 3-5. Again using data, Plemmons identified 45 students defined by this criteria. These students were invited to share their interests and provide feedback about how the collection did not meet their needs. Then each student was given $45.00 to select books for the library. Let the collaboration begin – students, teachers, the school librarian, and vendors all worked together to address this need in their school. I love this idea of further involving the students in program administration aspect. The school library program is there to serve the needs of the learning community and the students are a major part of that community, so they should be a part of all aspects. This also reminded me of the way Sue Kolwalski involves her student in her program – giving them ownership in areas of scheduling tasks as library assistants. As we strive to build collaborative relationships throughout our building and beyond, I think building this relationship with students by giving them voice and ownership has to be a critical part of today’s library media program.